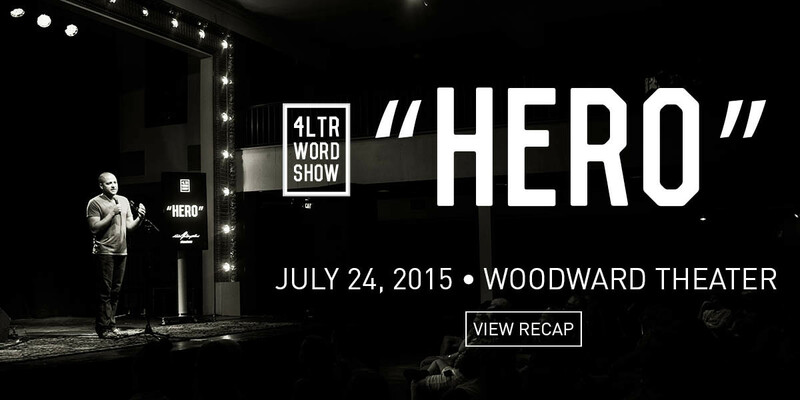 This was our second 4LTR WORD Show: On July 24 at the Woodward Theater, a group of storytellers, improv comedians, and a trio of musicians all riffed on the same word, “HERO.” This one-of-a-kind variety show made us feel all the feels again. The band leader, Jim Zartman, said it was one of the most sacred “church” experiences he’s ever had. Rebel Storyteller, Paula Williams, told her amazing story that night and blogged about the evening here. Video of the event will be loaded soon. To see photos of the evening go to our Facebook page here.